Philips has this week released new development software for their colourful Philips Hue connected bulb, in the form of a range of Open APIs and a iOS SDK for Apple app developers. Philips Hue connected bulb systems consists of a bulbs and bridge land has been designed to allowed users to customise their lighting using mobile smartphones or tablets. Watch the video after the jump to see it in action. Philips Hue connected bulb makes it easy to set your lighting effects based on your favourite photographs, or using expertly created light recipes that have been tailored to help you relax or concentrate. 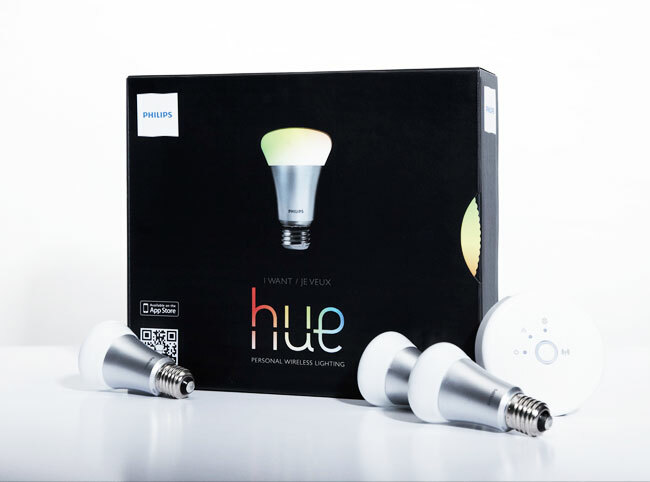 “Meet hue and change the way you see light. Hue lets you play with tone, brightness and colour to create your ideal lighting. Hue can help you relax or concentrate, change the atmosphere of a room, help keep your house safe when you’re out, even remind you of that magical moment on vacation. All from your smart device.